Earlier in the 70s or the 80s it was parents who used to decide about marriages and the kids used to nod and tie the knots. 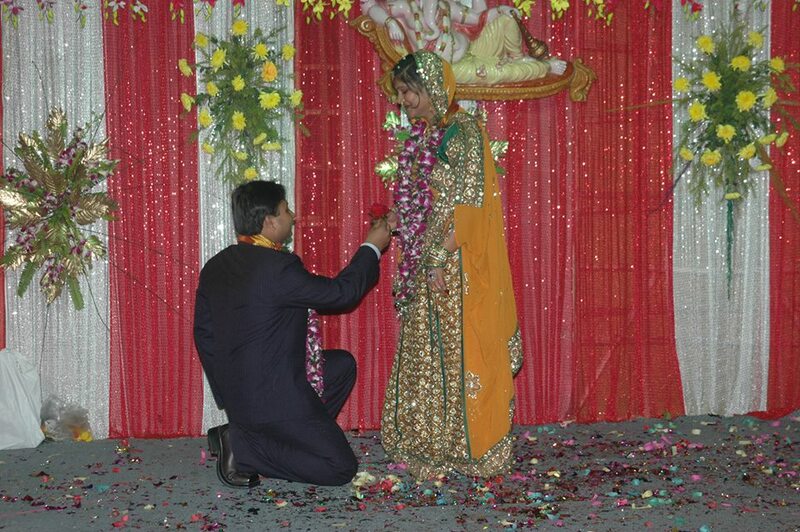 The couple would get to know regarding each other after marriage or lets say even see each other for the first time during the marriage and they had wonderful relationships. They would grow old with each other and enjoy their relationship thoroughly. However in today’s world the scene is that in spite of knowing the person for years or even being in live in relation the couples lack compatibility. The so called matured and straight forward couples lack compatibility and look forward to separation within some time of their marriage. Relationships are complicated and are confusing, it takes a lot of efforts to maintain and celebrate a relation. A relationship is confusing in itself and with compatibility issues it gets all the more confusing. You are in love but lack compatibility in your relation and this breaks your heart. To fight the compatibility issues you first need to understand the reason of incompatibility and then work on them to do away with them. As per surveys or relationship counselor the basic reason of clash are intellect, temperament, and life goals. It emphasizes that you do not need to like everything that your partner does but you should try to build interest in their interests. Try to figure out what they like and be supportive of their interests. Money matters could also be a reason of lacking compatibility. Your beliefs around it, ways of spending, managing, investing all could be the reason for differences. Intimacy and relationship goals could also result in differences between the couple. However step by step you need to work on them and sort it out to build a strong compatible relation with your partner. 1] Accept your partner’s uniqueness: Lets be honest we all had those moments were we desired that a partner should be more thin, beautiful, romantic and so on. Consider your expectations and analyze how realistic they are. Unrealistic expectations leads to frustration and thus compatibility in the relation fails. 2] Devote ten minutes to communicate– Communicate with your partner with deep meaning and this is the basic key to successful relation. Talk about things apart from family, work, kids and chores. Talk about yourself this simple change will infuse your relationship with new spirit and life. 3] Be calm– If your partner is going mad or is being unreasonable just keep your calm. Do not freak out and it will be easier to navigate relationship challenges. If you guys are not on the same page it is acceptable but not understanding each others perspective is not acceptable. Stay calm and understand the horizon that your partner intends to reach out. 4] Agree to disagree– No two people can agree on everything, so it is essential that you learn to agree to things that you disagree to or compromise about them. Thus the basic key to compatibility is that two people can disagree but still be in a relation. You need to have a broader mind and accept their hobbies or interests and improve your compatibility. Thus this valentine gift each other the missing essence of compatibility to life your life the fullest. 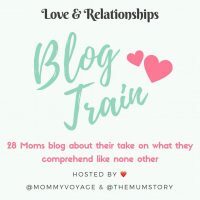 This post is a part of the blog train that hosted by The Mum Story and mommyvoyage We moms share their Love and Relationships, in this month of Love. This is a month long blog train. 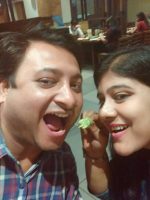 Hope you enjoy reading it and sharing your valuable opinion..
Next in this train is Jasmeet Taneja from Jazzharman1508 . Hop on to her website to read her views on this theme. To know more about the participant you can check out my post on Facebook. These are great ideas to improve compatibility. We need to accept our partner’s uniqueness. We as couples are trying so hard to be compatible. Thanks for the tips. Those were some really valuable tips and tricks for a smooth relationship. 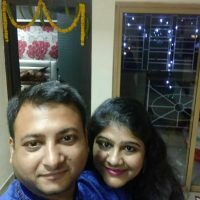 Accha post hai, is subject per abhi tak maine kisi ko likhtey nahi dekha ? Points sab acche hai, baat sirf maturity ki hai, respect ki bas itna sjhna hota hai ?? I completely believe in ‘Agree to disagree’. That way both partners are happy with their choices without feeling ditched or rejected. These are some good tips. Very valid points to ensure smooth running of any relationship! Beautiful thoughts… In a relationship communication is very important and so is the fact that we need to accept each other the way we are! Loved your post ? These are really good ideas for improving compatibility.